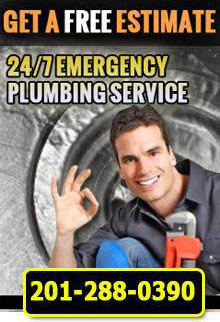 Are you looking for good affordable plumbers in North NJ? First Choice plumbing is a great choice for you. We will get the job done right, fast, with great care and for a very reasonable rate. Our honesty and care makes our customers call us any time they need a plumber and this is our company’s philosophy. Here at 1st Choice Plumbing, Heating and Drain Service we have experienced plumbers that do a wide variety of mechanical repair work for an affordable price. Whether it be a problem with your toilet, drain, faucet or sewer system, we have the right equipment and experience at a price you can afford. Looking for an affordable plumber in NJ? 1st Choice Plumbing, Heating and Drain Service can provide excellent plumbing service for you. For more information on our affordable plumbers in North NJ, call 1st Choice Plumbing, Heating and Drain Service at (201)288-0390! 1st Choice Plumbing, Heating and Drains - Your trusted source for affordable plumbers in North NJ.